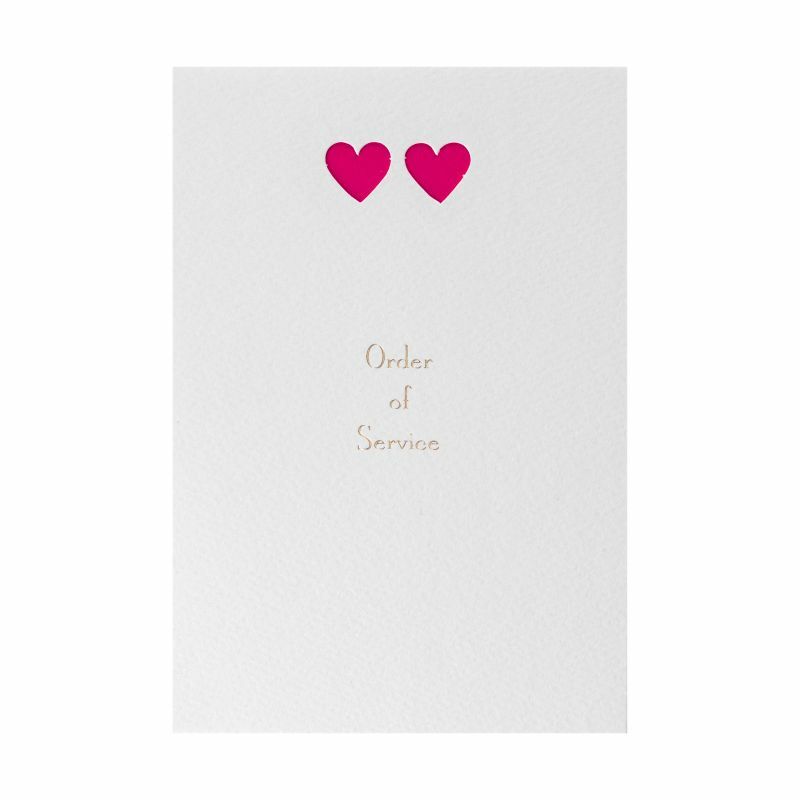 Your Order of Service is an integral piece of stationery for your big day, which builds up excitement among your guests, and allows all of your family and friends to see exactly how your wedding day will pan out. As well as providing your nearest and dearest with a precious memento to cherish for years to come! As such a vital part of your big day, it’s only right that you lovely brides know what is traditionally included in an Order of Service. So what is a Order of Service? 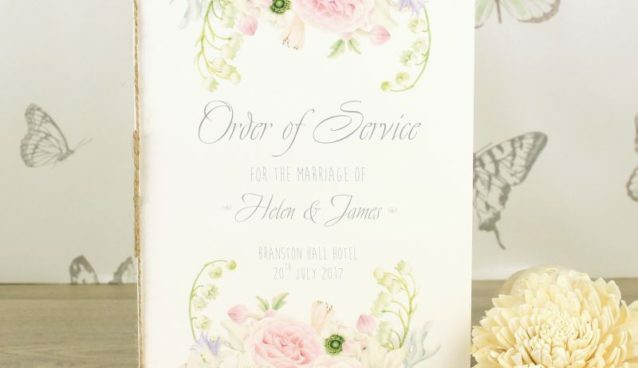 Whether you are holding a civil ceremony or a religious ceremony, the Order of Service is the step-by-step guide of the wedding ceremony. This gives guests an idea of what they can expect during the service. It is completely up to you whether you would like to include the complete breakdown of the wedding service. Including the words of the minister, couple and any speakers. Or you may like to have a more simple Order of Service that only includes the words of any hymns. With this in mind, you will need to decide on music/hymns and wording in advance. The Order of Service layout will be the same, excluding the blessings and hymns. 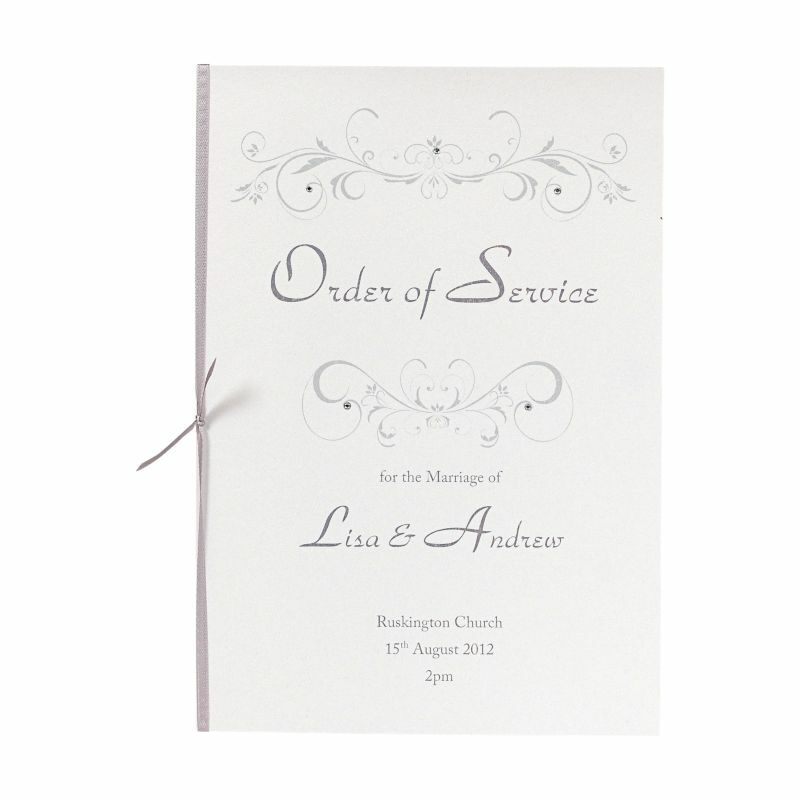 Now you know everything you need to write the perfect Order of Service! Now you just need to choose the style! 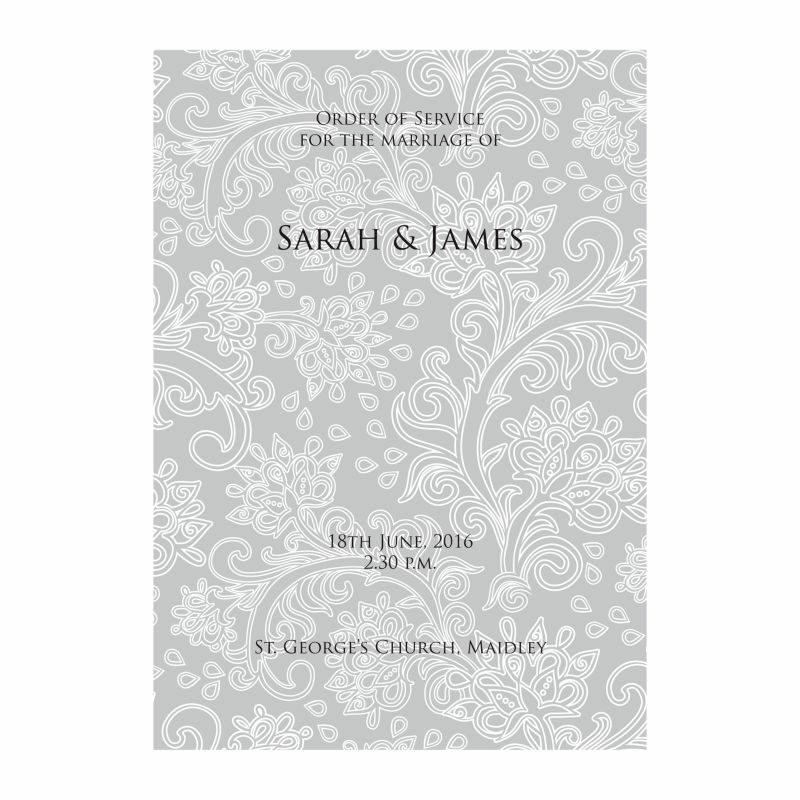 With over 80 styles we are sure to have a style to fit your wedding theme!